We persist towards. We resist against. tell me a STORY now!! These were the top 10 stories published by Persist: New Ideas for Journalism in an Age of Distrust in 2018. You can also dive into monthly archives for 2018 by using the calendar at the top of this page. Persist: New Ideas for Journalism in an Age of Distrust. 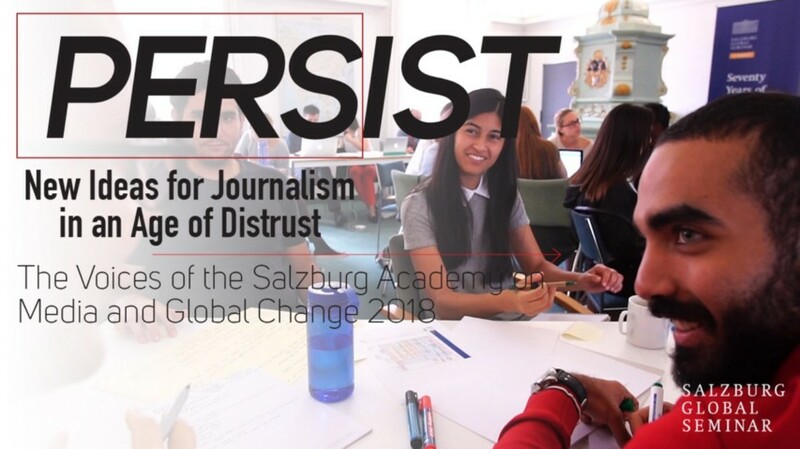 A Digital Publication by students and faculty at the 2018 Salzburg Academy on Media and Global Change, hosted by the Salzburg Global Seminar.